Dr. Lee is director of the Retina Institute in the Vision Center at Children’s Hospital Los Angeles. A widely-traveled sought-after speaker, he is an expert on vitreoretinal disorders related to ROP and other serious retinal problems in children. He has pioneered the technique of endoscopic vitreoretinal surgery for use in the treatment of difficult retinal problems related to retinopathy of prematurity. Dr. Lee is internationally known for his efforts to deliver the latest eye care to underserved regions. He contributes greatly to the Armenian EyeCare Project where he directs a remote learning portal to reduce infant blindness through patient screening and physician education. 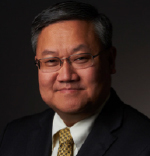 Dr. Lee helped organize the Regional Ophthalmology meeting with Eye Samaritans International in Yerevan, Armenia in 2017, and he continues to share common goals with ESI to eradicate infant blindness in Armenia. 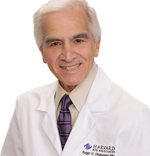 Dr. Ohanesian is a Harvard-educated ophthalmologist who responded to a call for help from Armenia’s Deputy Minister of Health, through the American Armenian Medical Society, which desperately sought doctors to provide medical expertise in Armenia, a small nation torn by years of war, desperate economic hardship and a recent catastrophic earthquake. Dr. Ohanesian founded the Armenian EyeCare Project (AECP) in September 1992, during the fourth year of the six-year Azerbaijan-Armenia war. AECP was formed with the goal of eliminating preventable blindness and making eye care accessible to all of Armenia, the home of his ancestors. 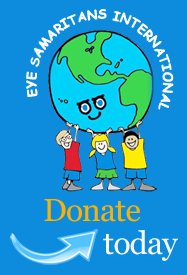 Since its inception, the Armenian Eye Care Project has been able to treat eye disease, restore sight and change the lives of thousands of people in Armenia. Eye Samaritans International collaborated with Dr. Ohanesian to plan the Regional Ophthalmology meeting in Yerevan, Armenia in July 2017. 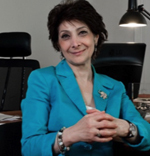 Ms. Yeghiazaryan oversees and directs the myriad of activities of the Armenian EyeCare Project and has lead the organization in Armenia since its inception in 2003. Dr. Richards coordinates with Dr. Yeghiazaryan to help Armenia become a training center for nearby countries afflicted by the epidemic of childhood blindness from ROP. These ROP-stricken countries include those in Eastern Europe and on the Black Sea including Russia.